Ships today if you order in the next 12 hours 10 minutes. Meeting your training goals can be difficult some days, and if you're looking for a little help with endurance and keeping on track, NOW Foods offers a great supplement powder choice. Beta-Alanine Powder is a high-potency dietary supplement that supports muscular endurance and helps ward off muscle fatigue during exercise. 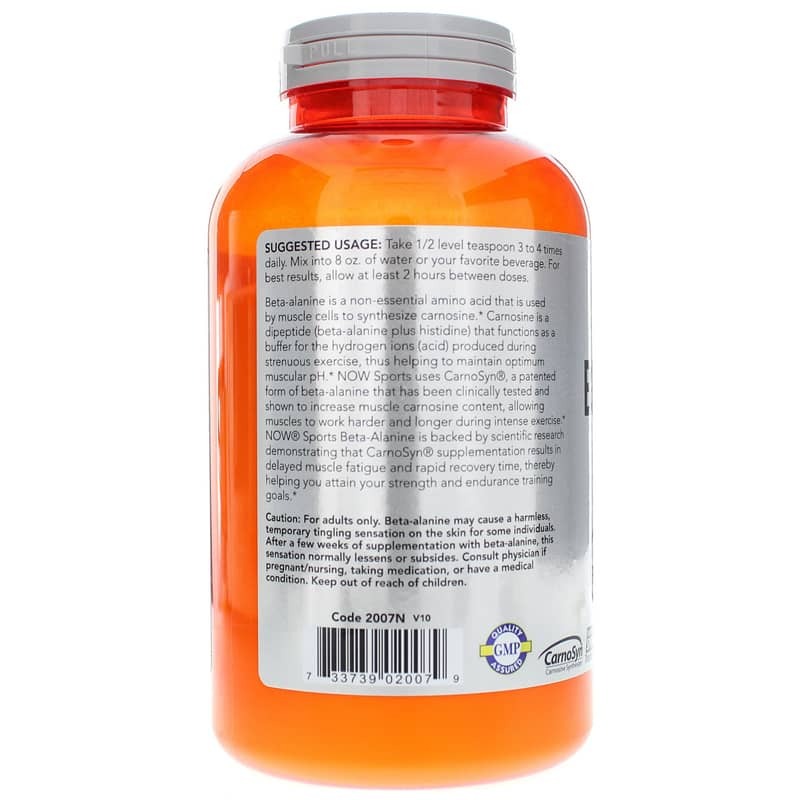 Beta-alanine is an essential amino acid that is used by your muscle cells to synthesize carnosine, which plays a key role in the maintenance of a healthy pH in your muscles. Attain your strength and endurance training goals the healthier way. 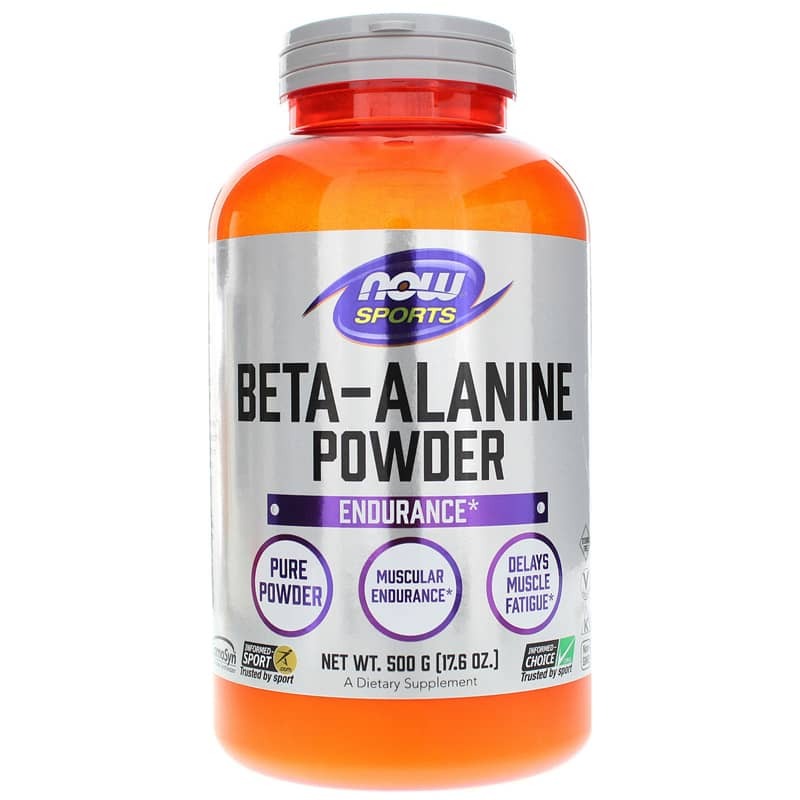 Choose Beta-Alanine Powder from NOW Foods today, and see the difference it may be able to make in your endurance and health. Order now! 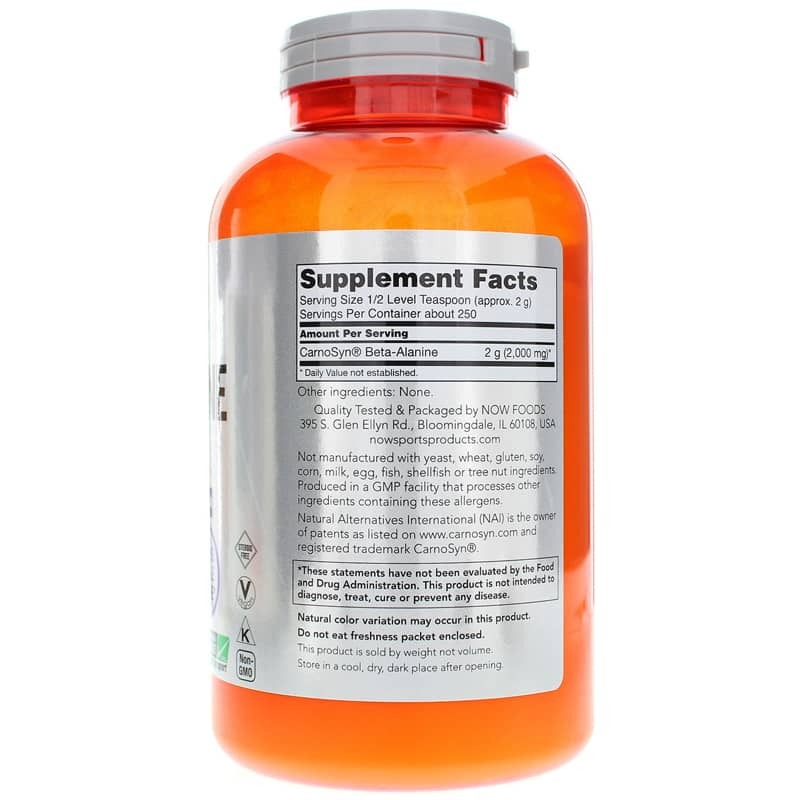 Adults: As a dietary supplement, take a 1/2 level teaspoon (2.0 g) 3 to 4 times daily. Mix into 8 fl. oz. of water or your favorite beverage. For best results, allow at least 2 hours between doses. Caution: Beta-Alanine may cause a harmless, temporary tingling sensation on the skin for some individuals. After a few weeks of supplementation with Beta-Alanine, this sensation normally lessens or subsides. If you are pregnant or nursing, please consult your healthcare professional before using this product. Keep out of the reach of children.